Over the years, Claremont-Mudd-Scripps Athletics has won 37 Southern California Intercollegiate Athletic Conference (SCIAC) All-Sports Trophies and has been ranked in the upper echelon of Division III programs in the annual Directors’ Cup Standings. Even with CMS’ continued success during its history, the 2013-14 school year proved to be a record year for the Stags and Athenas as CMS had its best overall year in conference play and tied its highest mark ever in the Division III Learfield Sports Directors’ Cup standings, with a 13th place finish in the final 2013-14 rankings. The final Directors’ Cup standings were released on June 4 and CMS finished in a tie for 13th place with 647 points. After the winter season, CMS sat in 19th place, but then moved up six spots based on the success of its spring teams. 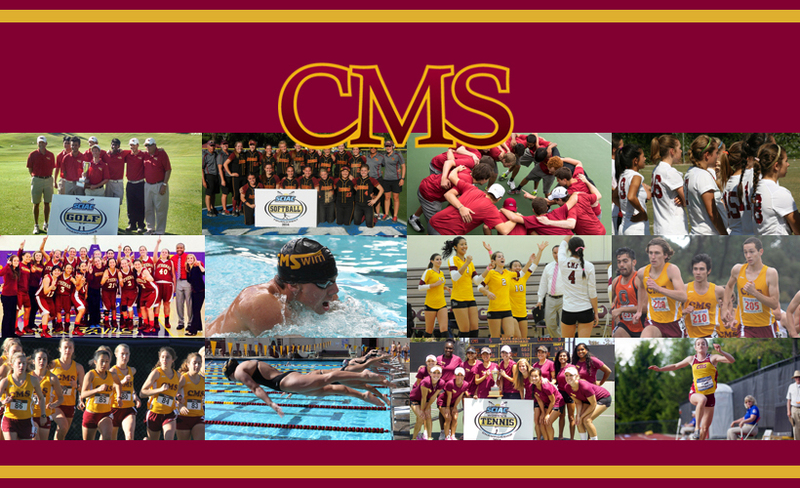 CMS earned points in 2013-14 with 12 teams making appearances in their respective NCAA Championships. Women’s cross country (14th – 61.5 pts), men’s cross country (19th – 55 pts. ), women’s soccer (33rd – 25 pts.) and volleyball (17th – 50 pts.) represented CMS’ fall sports. Women’s basketball (33rd – 25 pts. ), men's swimming & diving (7th - 72 pts.) and women's swimming & diving (13th - 63 pts.) represented CMS’ winter teams, while men’s golf (20th – 54 pts. ), softball (9th – 64 pts. ), women’s tennis (5th – 73 pts. ), men’s tennis (2nd – 90 pts.) and women’s track & field (56th – 14.5 pts.) were the spring teams to participate in the NCAA Championships. The tie for 13th place for CMS was the highest ranking among West Region and SCIAC schools. The Directors' Cup competition is now in its 19th year. The competition awards points based on a team's finish at the NCAA Championships. CMS has been the top finishing SCIAC representative now in 14 of the Directors’ Cup first 19 years and also finished in the top-60 overall 17 times. The 2013-14 school year was the 11th top-30 finish for the program and second finish inside the top-15. In addition, CMS had a record year at the conference level. CMS teams won a record 12 combined SCIAC titles to bring home the SCIAC All-Sports Trophy and 18 of the program’s 21 teams finished in the top-3 in the SCIAC. This is the 10th time CMS has had nine or more conference championship teams in a school year. No other SCIAC school has had more than eight SCIAC championship teams in one academic year. The Stags won seven SCIAC titles in 2013-14 which marks the third time CMS has won seven or more (record is 8). No other SCIAC school has had its men’s teams win more than six conference championships in one academic year. The Athenas won five SCIAC titles. This is the seventh time CMS has won five or more (record is 6). No other SCIAC school has had its women’s teams win more than five conference championships in one academic year. The Class of 2014 won a combined 40 SCIAC titles. This is the 13th time a CMS senior class has won 30 or more conference championships.